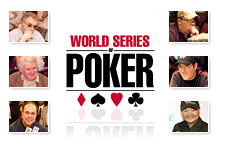 Many players who win the World Series of Poker Main Event continue on to have very successful poker careers. Johnny Moss, winner of the first ever World Series of Poker main event in 1970, went on to win multiple World Series of Poker bracelets, including two more main event titles (in 1971 and 1974). Stu Ungar won the main event in 1980 - he followed this victory up with four more WSOP bracelets, including a main event title in 1981 and 1997. Johnny Chan and Phil Hellmuth both won main event titles in the late 80's, and both went on to have successful and storied careers. Over the past 10-15 years, main event winners such as Huck Seed, Dan Harrington, Scotty Nguyen, Chris Ferguson, Juan Carlos Mortensen, Greg Raymer and Joe Hachem have all had at least some degree of success following their victories. 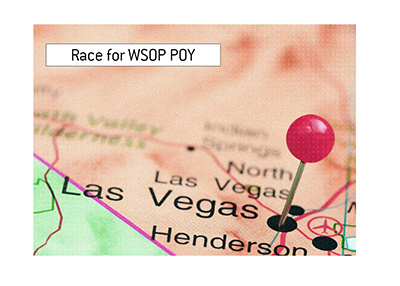 For the most part, WSOP main event winners usually go on to win more tournaments and continue to achieve some level of success in the poker world. 1. Hal Fowler. Won the 1979 World Series of Poker, defeating Bobby Hoff in heads-up play. Sometimes called the "greatest upset in the history of the World Series of Poker", as the unknown Fowler overcame a final table that was stacked with greats, including Bobby Baldwin and Johnny Moss. This was Fowler's only cash in a World Series of Poker event. He won a $1k Seven Card Stud event at the 1984 Grand Prix of Poker - that was to be his last ever cash in a poker event. Fowler delivered an absolutely horrific beat to Bobby Hoff to win the 1979 World Series of Poker. Hoff was dealt pocket Aces in heads-up play, and put in a huge raise pre-flop. Fowler decided to call with 6-7 offsuit. The flop came J-3-5. Hoff bet, and Fowler called with his gutshot draw. At this point, Hoff had most of his stack commited to the pot. The turn was the 4, giving Fowler the straight. Hoff pushed in, and the tournament was soon over. Fowler can't be faulted for his lackluster results following his big win. He suffered from diabetes, which greatly impaired his eyesight and affected the use of his legs. Fowler died in 2000. 2. J.J. "Noel" Furlong. Won the 1999 World Series of Poker, defeating Alan Goehring in heads-up play. Since winning the 1999 main event, Furlong's biggest cash was a $23k win in a 200 pound No Limit Hold'em evnet at the 2003 Irish Winter Tournament in Dublin, Ireland. In Furlong's case, the lack of further success in the poker world was mainly by choice. Furlong simply wasn't interested in pursuing a career as a professional poker player, instead choosing to play when he felt like it. "Noel" instead chooses to spend most of his time focusing on his successful carpet distribution business, which has made him extremely wealthy. Furlong is one of those rare players who decides not to make poker his career following a major victory. 3. Robert Varkonyi. Aside from maybe Chris Moneymaker, I can't think of a World Series of Poker main event champion who has less respect from his peers than Varkonyi. Varkonyi defeated Julian Gardner in heads-up play to win the 2002 World Series of Poker. 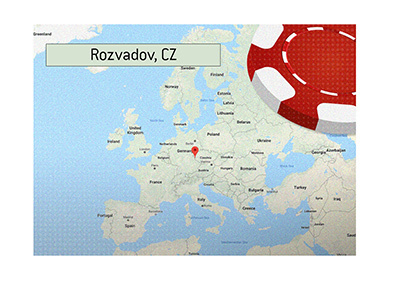 Since then, Robert Varkonyi has been largely invisible in the poker world. His biggest cash came at the 2007 WSOP main event, when he finished in 177th place for $51k. Varkonyi strikes me as one of those players that just happened to catch his once-in-a-lifetime rush of cards while playing in the World Series of Poker main event. I'm not sure that he will ever be able to do it again. 4. Chris Moneymaker. The reason that you're reading this site today. Chris Moneymaker's improbable victory was the catalyst for the online poker boom. He qualified on Pokerstars and ended up winning millions when he defeated Sam Farha to take down the 2003 World Series of Poker. I'll give Moneymaker credit - he finished second in a WPT event just a few months after his victory at the World Series of Poker, but after that, he hasn't done much at all. Since 2005, his biggest "live" cash was $24,480. Moneymaker is another one of those players who just doesn't seem particularly interested in a life as a professional tournament player. He has obviously done really well for himself through his deal with Pokerstars, and seems to be more content playing the occasional live tournament and spending most of his time with his family. Chris Moneymaker simply doesn't seem to be very interested in proving that his main event victory wasn't a fluke. You can't fault him for that - he seems to have different priorities than other former champions. 5. Jamie Gold / Jerry Yang. Might be a bit unfair to put these two on the list, considering they both just won. However, Jerry Yang seems to want absolutely nothing to do with a career as a poker player. 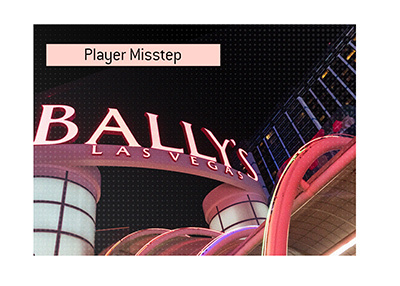 He played at the 2008 World Series of Poker and that's pretty much it. He could have easily parlayed his championship into a lucrative sponsorship deal at one of the major online poker sites - instead, he is simply a "friend" of Full Tilt Poker. Again, there is nothing wrong with choosing not to focus on poker after a major victory. I don't think that we'll be hearing much about Jerry Yang ever again. Jamie Gold, on the other hand, is a different story. He clearly wants to remain in the limelight, frequently making appearances on shows such as "Poker After Dark" and "High Stakes Poker". His time on those shows has highlighted the fact that Gold is just not that strong of a poker player, and will be very hard-pressed to duplicate his success at the 2006 World Series of Poker. Since 2006, his biggest cash was at the 2007 WSOPE main event, when he finished in 35th place for $54,673. Again, it might be a bit unfair to include Yang and Gold on this list since they are both fresh off their main event victories. However, I just don't see either player significantly building on their poker resumes in the years to come.